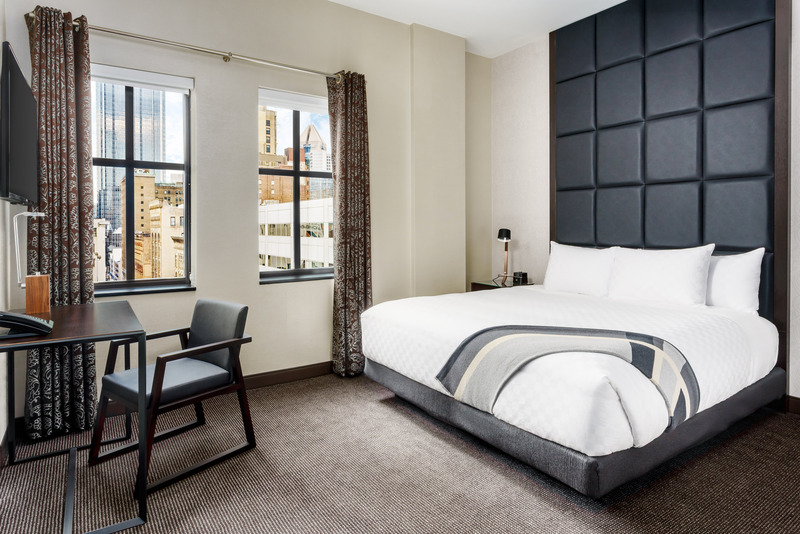 The Distrikt Hotel in downtown Pittsburgh, which officially opened in July 2017, is the latest signature hotel from the Distrikt Hotel Management Group. We recently sat down with Jennifer Austin, Executive Vice President, Development and Brand Strategies, to discuss some of the design challenges she faced. She also talked about how Encore Hospitality Carpet worked closely with her to develop a fully custom-designed carpet made with Zeftron nylon to meet the hotel’s unique design and functionality needs. ZN. : How did the project come about? J.A. : The Distrikt Hotel Group opened their first signature hotel in New York City in 2010. When it came time to expand, we found this amazing historic building in a key area of Pittsburgh that was for sale. We immediately realized this would be an excellent opportunity for our second location. Z.N. 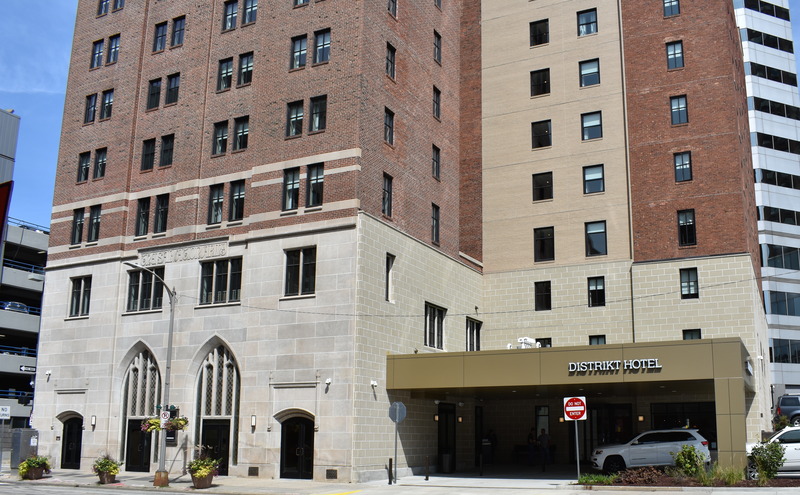 : What were some of the challenges you faced in opening the Pittsburgh Hotel? J.A. : Well, considering we were converting a historic, 10-story former Salvation Army building originally built in 1926 into a modern hotel, we had quite a few challenges. We had to completely gut the building from the second floor up, then we added a few rooms to the 10th floor. As a historic building, we needed to adhere to local building codes. For example, we needed to meet the city’s request to not build a parking garage. They also requested we add green amenities. We also needed to preserve the façade, the windows and the amazing lobby area. Another unique challenge we faced was the guest rooms. Some rooms have 12-ft. ceilings, while others have 8-ft. ceilings. This created some interesting design challenges. Z.N. : What support did you receive from Encore Hospitality Carpet? J.A. : Encore was a dream to work with. They had provided the carpet at our New York hotel when it came time to replace the original carpet, so we were familiar with them. The Pittsburgh hotel was my first FF& E project; handling all the design, construction and installation. It was a big learning experience. But working alongside Richard Heaver (President of Encore) made the process so much better and easier. Richard took the time to get to know me and listen to me. He took a real hands-on approach other flooring manufacturers would not have. And, because we were not using an architect or a designer, I had to rely heavily on him. His knowledge and willingness to listen to what I envisioned completely paid off: The carpet he ultimately presented was really stunning, and not normal at all. Z.N. : Where is the carpet being used? J.A. : The Encore carpet made with Zeftron is in all corridors and all 185 rooms. 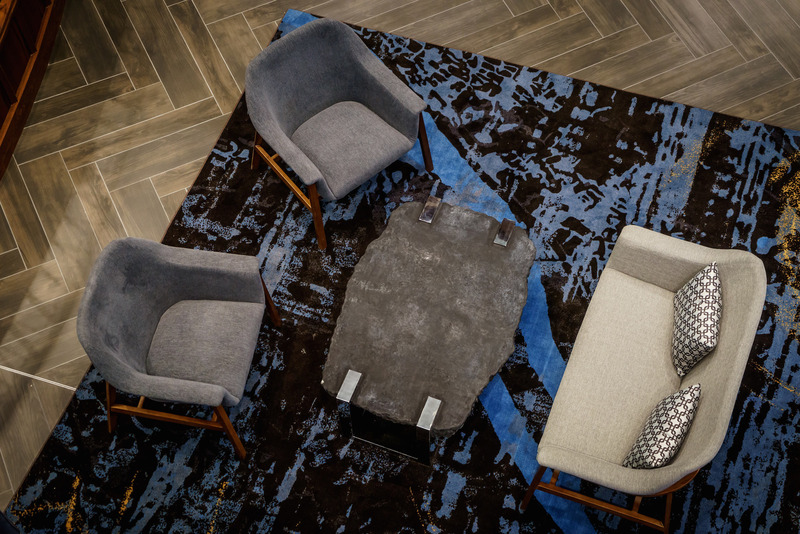 Encore rugs with Zeftron are in public spaces, including the main lobby area. Z.N. : Can you describe the design you were trying to achieve? J.A. : We knew that we did not want to copy or emulate what other hotels are doing. But more importantly, we wanted to balance the historical nature of the building and the essence of Pittsburgh, while bringing a fresh, modern look. Essentially, we wanted the design to be understated and elegant, evoking a sense of place and time. Z.N. : What purpose did you need the carpet to serve? J.A. 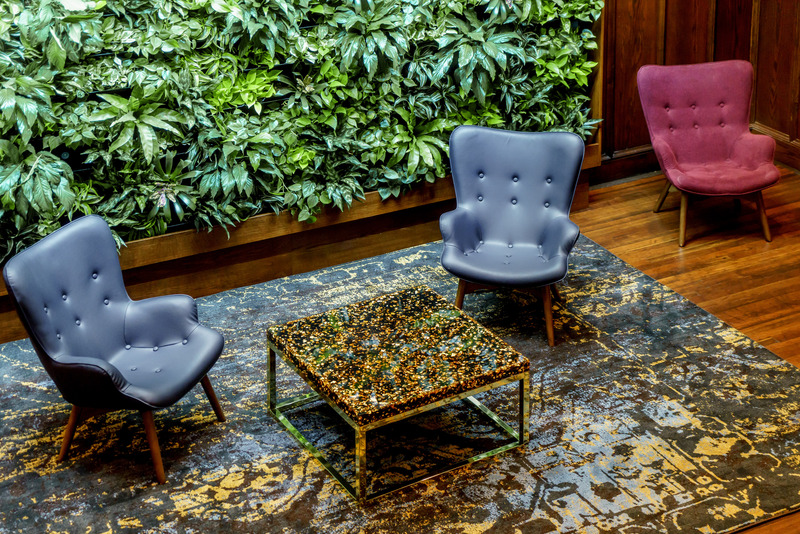 : We needed the flooring to serve three major purposes: One, it needed to support and enhance the overall design of the hotel; two, it needed to assist with wayfinding in the corridors; and three, it needed to stand up against staining and wearing. From a design perspective, we wanted the carpet to be reflective of the historic elements of the building and ensure it blended nicely with what we were trying to achieve. So it’s got some fading elements that speak to something historical. But at the same time it’s got some sparkle and pop, making it look contemporary and modern. It ended up perfect; everyone comments on it. From a functionality standpoint, there are some winding paths in the hallways – not all hallways are completely straight. So we had to work very closely with Encore to create the transitions from hallway to corner. This was some pretty tricky work: How do you take a pattern and not make it look awkward when it’s going around a corner and then going a different length of hallway? The end result is that we have some great corner-to-hallway transitions that help our guests navigate the turns in the corridors. Bottom line, the carpet is beautiful, affordable and it cleans beautifully. The unique colorways, surface textures and intricate patterns all come together great — it’s kind of a dream. Z.N. : Thanks for speaking with us! J.A. : You’re welcome. Thank you. 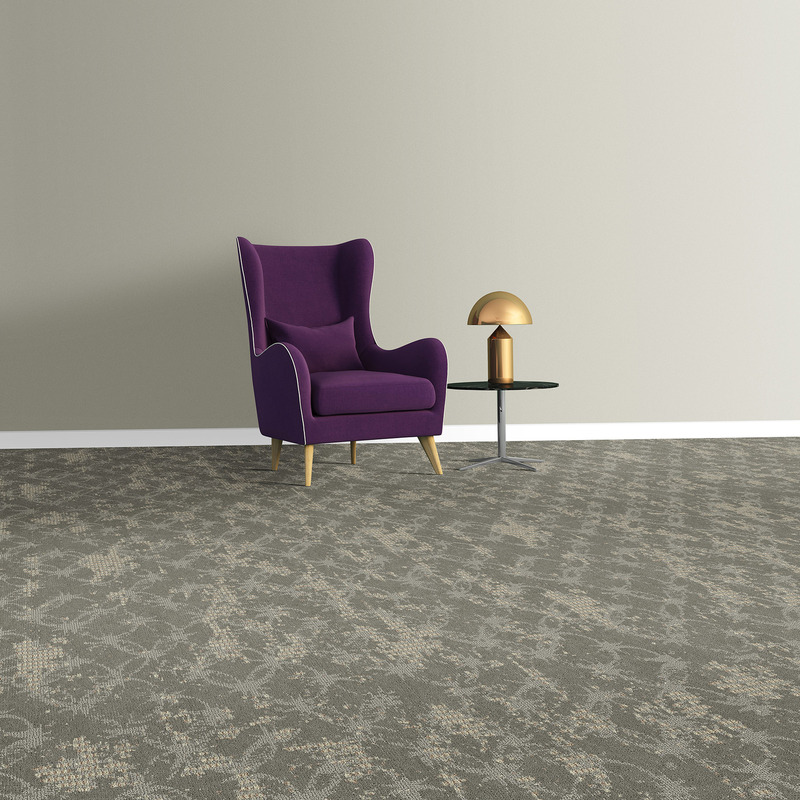 Encore Hospitality Carpet, a hospitality division of Brumlow Mills, is introducing its Allure Collection, an attractive array of 12 highly designed broadloom styles made with Zeftron nylon. The new collection features innovative textures, colors and large and small pattern sizes. It meets both the style and performance needs for a variety of hospitality environments. A bold departure from many of today’s flooring options, the Allure Collection is aesthetically distinguished by its sense of the unexpected. Some products feature large geometric patterns and others have smaller, more traditional grid styles. The beauty includes the illusion of no repeat patterning. Colors seem to indiscriminately fade in and out, appearing and reappearing with different intensity. The weathered, distressed appearance, provides added visual intrigue. Nine contemporary colorways are available with hues ranging from rich tans and deep browns to subtle greys and intense yellows. 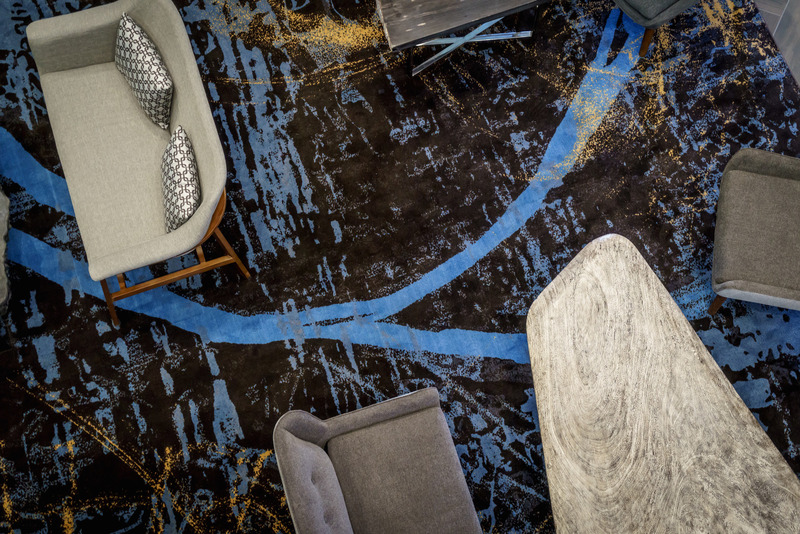 “With more than 100 standard options to choose from, the Allure Collection can help designers make a unique design statement for virtually any hospitality project or space they might be working on,” said Encore Hospitality Carpet President Richard Heaver. 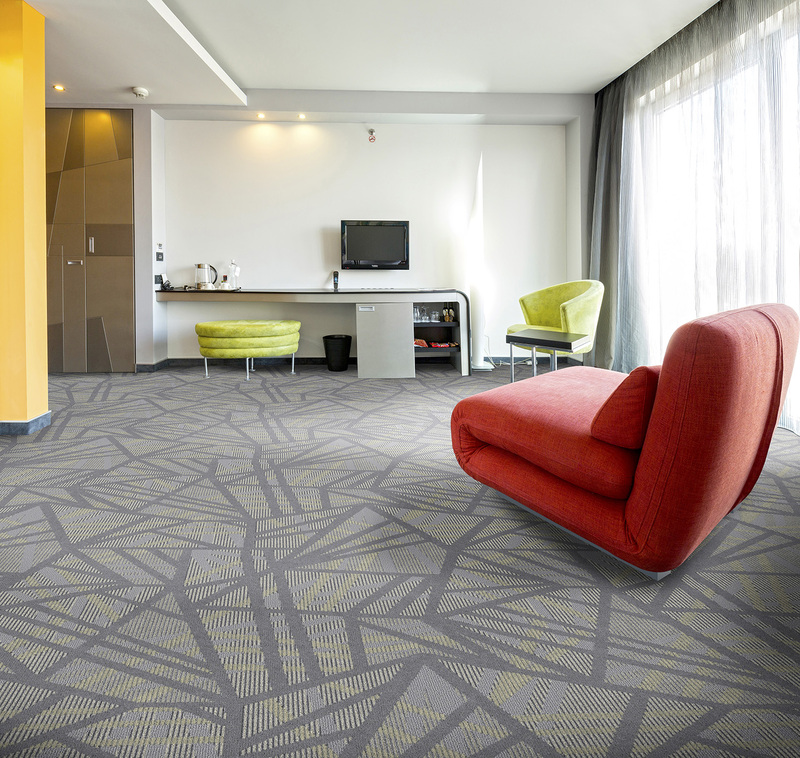 The dynamic styling elements of the collection are made possible through Encore’s state-of-the-art Infinity manufacturing technology, and Zeftron’s solution dyed nylon 6 with superior styling, performance and recyclability advantages for commercial carpet products. Allure products are perfect for guest rooms and public areas, including corridors, meeting rooms, ballrooms, lobbies and dining areas. Designers can begin the process of creating the perfect carpet for their project at the Encore website: www.encorehospitalitycarpet.com. Select patterns, colorize your designs and see how your carpet would look in a three-dimensional room scene. You can also download the room scene, as well as a color swatch, the colorways and a spec sheet to a PDF document. 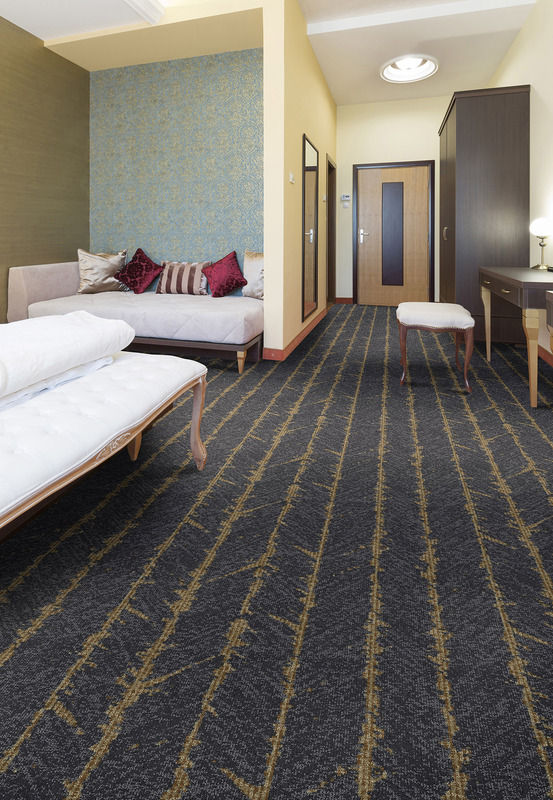 A family owned and operated carpet manufacturer since 1981, Encore’s commitment to the latest manufacturing capabilities, processes and procedures allows customers more flexibility in providing innovative, design-oriented carpet products for Public Space and Guest Room applications. Encore is poised to service both large and small projects competitively. For more information, please visit www.encorehospitalitycarpet.com.